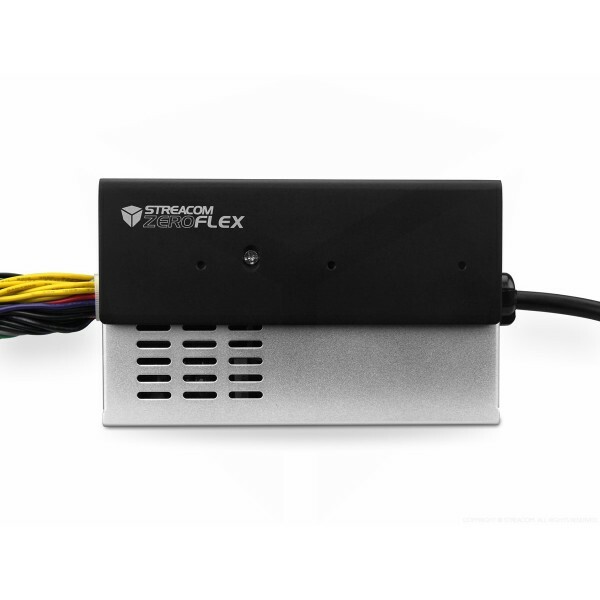 The Streacom ZeroFlex 240 has been designed to push the limits of compact and silent computing power. 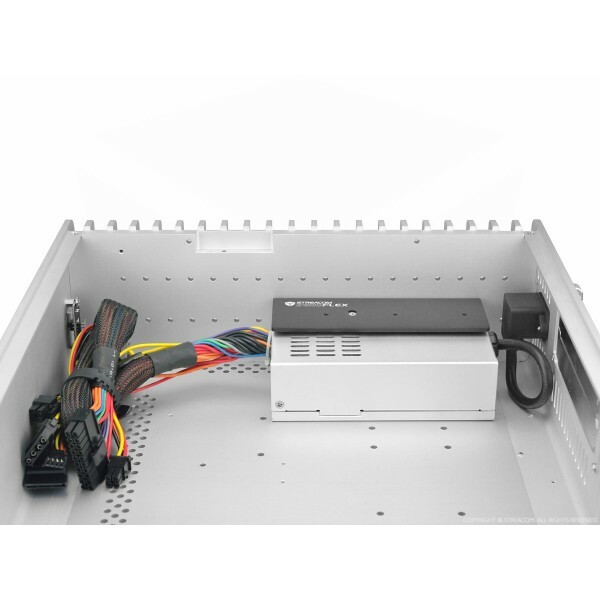 Encased in an all aluminium enclosure which is based on the Flex form factor (81.5×41.5x150mm), the ZeroFlex can deliver 240W of combined power without the need for any active cooling. This has been achieved by the use of high quality components and innovative circuit design which achieves >93% efficiency levels. To put things in perspective, if the ZF240 was actively cooled, it would be rated as a 450W power supply. 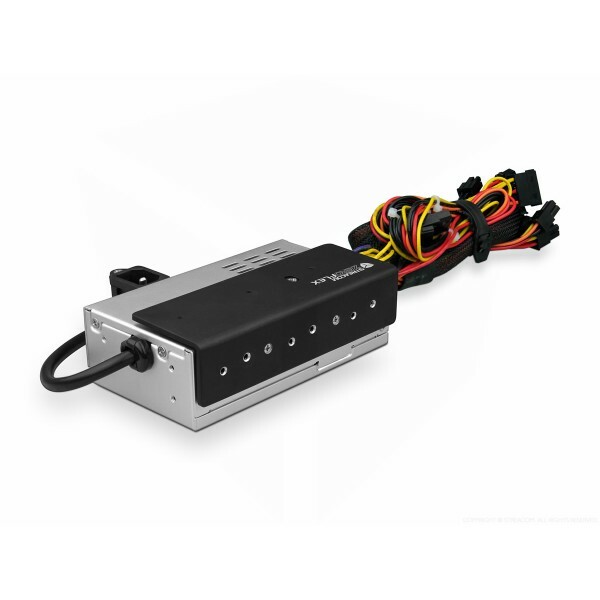 The ZF240 is compatible with the FC5 Evo, FC9 and FC10 chassis, increasing the range of compatible components and removing the need the external AC adapter. 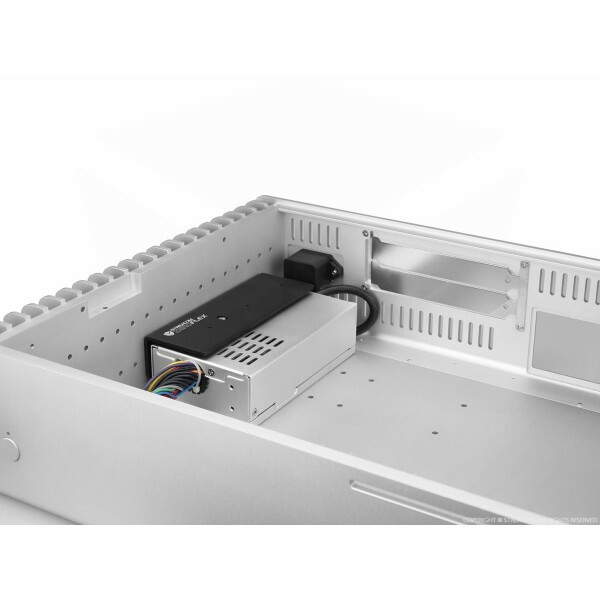 The unique ‘L’ bracket mounts directly to the case heatsinks, allowing heat to be dissipated outside the case, and the flexible AC socket makes the mounting position adaptable, so its compatible with current and future Streacom cases.